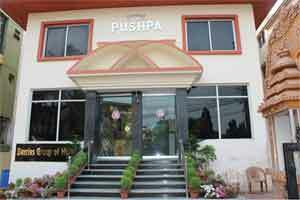 Hotel Pushpa is a premium hotel in Puri, the temple city of Odisha. Located in close proximity to the sea beach, our accommodation establishment offers an excellent view of the roaring waves, and matchless facilities with services to our guests. 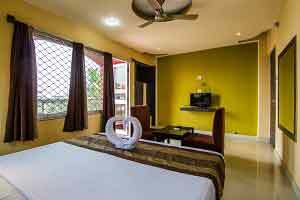 It is one of the best hotels in Puri, which employs a diligent staff that caters to its visitors wholeheartedly, and tries its level best to meet their needs. We have been serving tourists since 2012, and offer fooding & lodging at reasonable prices. Our peerless hospitality defines us the best, and our establishment has always been a home away from home. 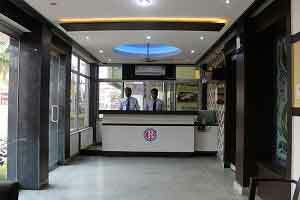 So, should you be looking for budget hotels in Puri, look no further than Hotel Pushpa. 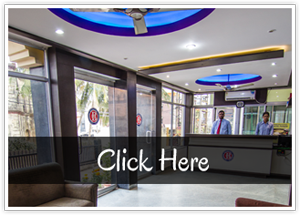 Hotel Pushpa has been built at a spot, which is easily accessible from the Bhubaneswar Airport and the Rail Station of Puri. We are just a few minutes away from Swargadwar, the shopping fulcrum of the beach. Savour some mouth watering seafood, watch the rising waves to your heart’s content, or take a stroll upon the sand that extends for miles. And what’s more, you need not even go out to relish the beautiful sunrises & sunsets that transpire beyond the never ending sea. You can view the amazing vista from the hotel room itself. Don’t all these aspects make our establishment the best amongst all the hotels in Puri Sea Beach? 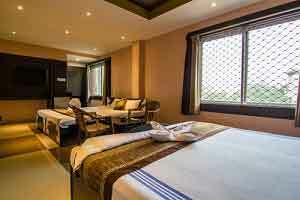 Non-A/C Standard Double rooms that are very economical and suit every Puri traveller’s pocketbook. All basic facilities like Television set, geysers, and attached bathrooms are provided so that a weary traveller can rest comfortably. A/C Classic Double rooms, which are a leisurely affair. These rooms are bright and airy. They feature marble flooring and have all the basic facilities plus a lavish balcony, a sofa set, and a wardrobe. A/C Superior Sea View rooms, which offer an unparallelled view of the raging Puri sea. They are designed so that they can accommodate the same luxurious facilities and offer tourists an incredible view of the sea. Honeymoon Deluxe rooms, exclusively for newlywed couples. Apart from the modern facilities of a comfortable stay, these rooms also feature stunning interior decoration. 24 hour room service, designed bathrooms, running water services and facilities for laundry and dry cleaning are available in these suits. Family suits, which offer a luxurious stay for families. These rooms bear an elegant look and are fully equipped with all the luxurious amenities a family needs on a vacation. With very economic tariff and packages, every room we offer is affordable, which makes us the best amongst the line of budget hotels in Puri. It is an ideal location for tourists who want to explore the temple city. It offers a calm and peaceful atmosphere of stay. Every room we offer has LCD TVs with uninterrupted cable connections. Our restaurant serves a variety of delicious Indian, Chinese and Continental cuisines. Our incredible room service has earned us the fame of being one of the best hotels in Puri. We have intercom services in all the rooms, along with a generator for power failures & lift facilities, too. We make sure our guests receive 24 hours hot and cold running water services. We facilitate same day laundry services. We also facilitate kitchen services for groups. We make arrangements for doctors on call. We offer pick-up / drop facilities at a minimal rate. We cater to your travel queries and needs at our in-house travel desk. We also arrange for air, railway and bus tickets during travel. 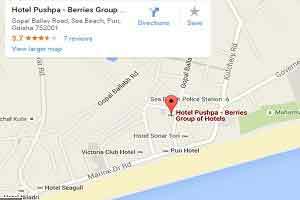 So, are you looking for hotels in Puri? Contact Hotel Pushpa today. We are just a call away and even accessible by e-mail. 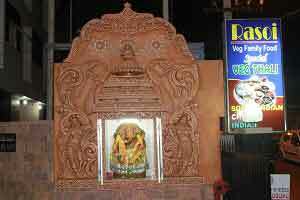 Let us make your stay in the temple city of Odisha a memorable one. We are looking forward to making your moments in Puri cherishable for a lifetime. For further hotel information from booking to facilities and others you may call us at 9556609676. Non Ac Standard, AC Classic, Ac Superior Sea View, Honeymoon Deluxe, Family Suit etc. Our Non AC Standard Rooms are economy rooms to suit medium budget travellers.